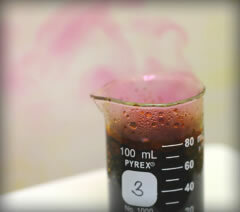 Iodine is one of the scarcest of non-metallic elements on earth. Although not abundant in quantity, iodine is distributed almost everywhere. Iodine is present in rocks, soil, seas, plants, animal tissues, and foodstuffs. Wherever iodine occurs, however, the quantities are generally very small and require sophisticated chemical methods to detect, along with costly chemical processes to release the element from its natural state. Furthermore, the processes required to leave the iodine in a chemically useful finished form are costly as well. Underground brines in Japan and “caliche” ore deposits in Chile are the largest world sources of iodine. It is the “caliche” ore deposits in Chile that are mined by our joint-venture partner SQM to produce the world’s largest supply of raw iodine. This supply from our partner affords Ajay-SQM Group the luxury of having a dedicated source of iodine, even in times of supply scarcity.